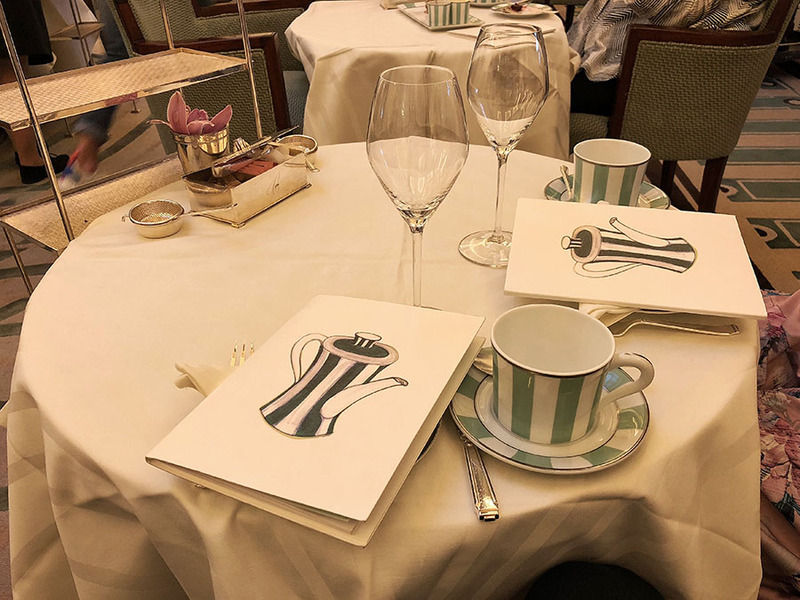 After the Sketch, afternoon tea at Claridge’s was once again a more traditional experience. 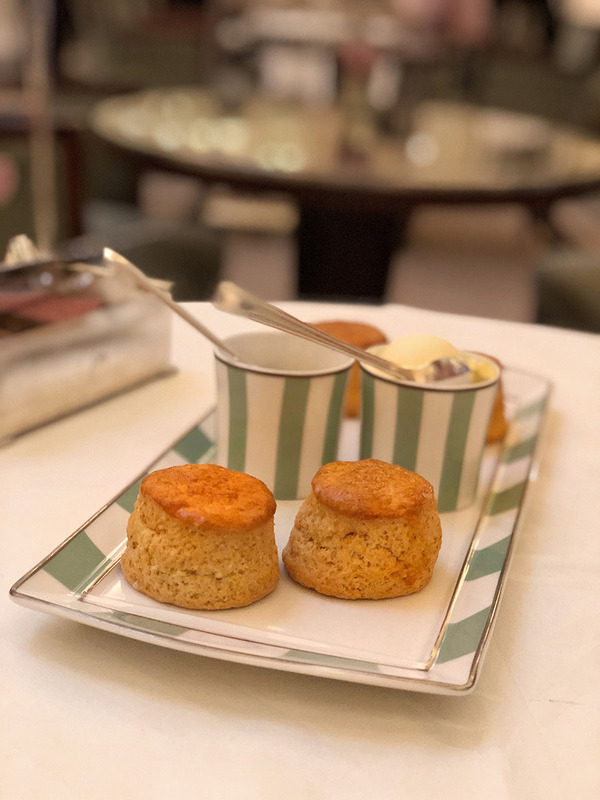 I quite liked the afternoon tea at the Ritz, and because reviews on the internet say that Claridge’s afternoon tea might be even better, I was really looking forward to this afternoon tea. The reservation time for Claridge’s is crazy. I had to wait almost three months to get there, but I think the wait was worth it. 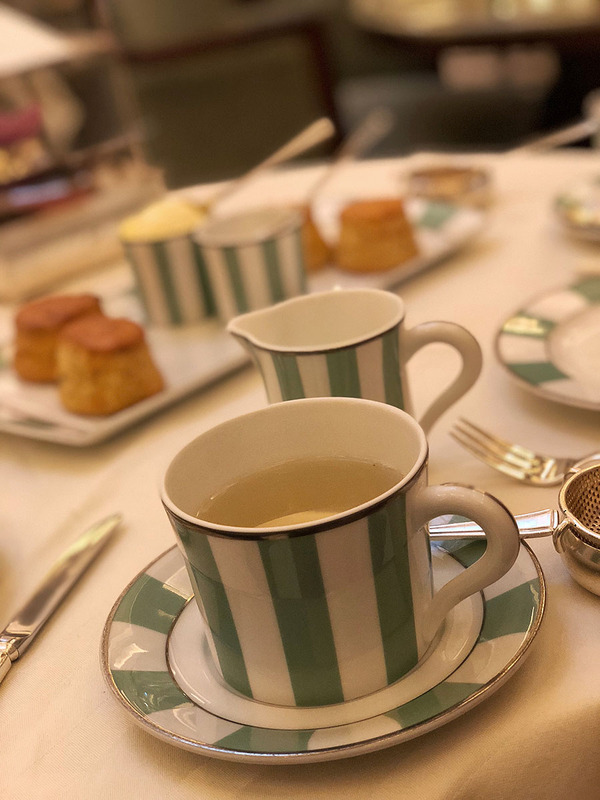 What is unique about the afternoon tea at Claridge’s? As I mentioned above the Afternoon Tea at Claridge’s is a traditional afternoon tea experience. The hotel itself opened in 1856, so it has some long history behind it. Its location, interior, and the magnificent Foyer, inspired by the 1930s’ heyday of art deco, are all stunning, and on its own make it a worthwhile to stop by. 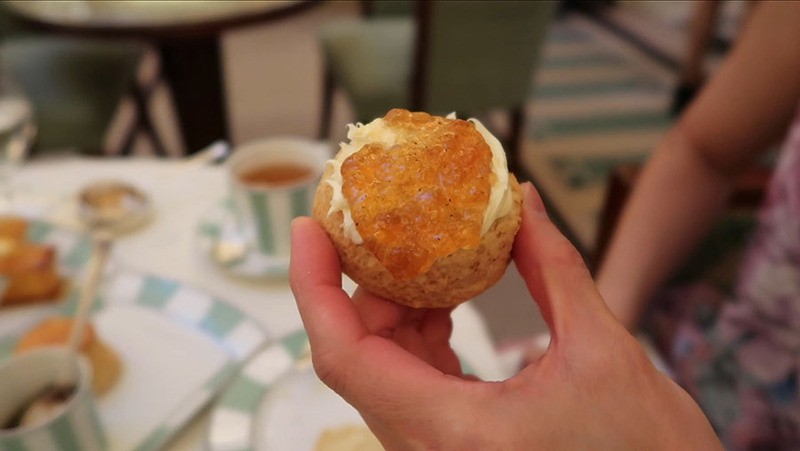 The food, teas, and desserts, similarly to the Ritz, are prepared with a great chef and tea connoisseur. And, as you would expect, are of the highest quality. 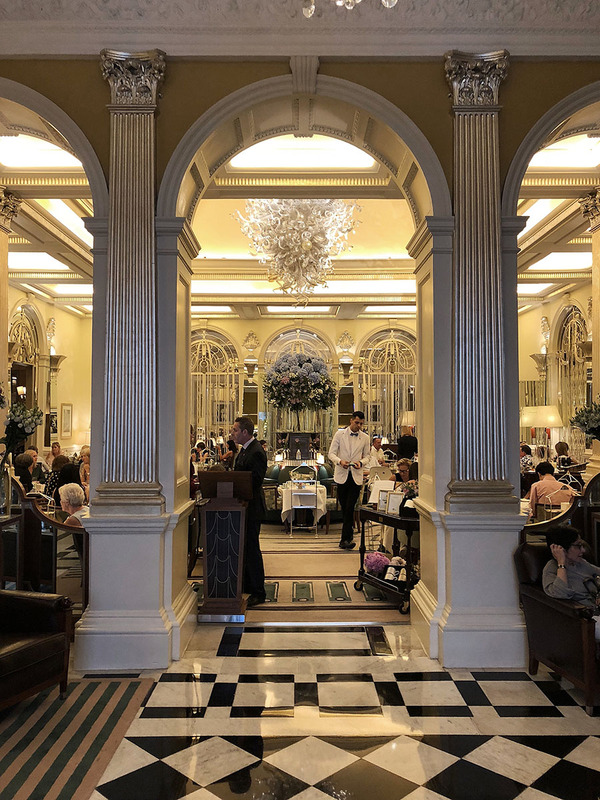 The size of the afternoon tea room in Claridge’s is quite big thus there is much less push to make you go after the two hours. It creates a more relaxed atmosphere which I liked so much in the afternoon tea at Sketch. The dress code is relaxed. Jacket for men is not required, but shirt and trousers are a must. As usual with afternoon teas, even if the dress code is less strict, you will definitely feel much better nicely dressed there. Tea - A great selection of teas put together by world-renowned tea connoisseur. I went for the classic, the delicious Claridge’s Blend tea (black tea) and later some Jasmine Tea. They were excellent. Sandwiches - A very traditional selection of sandwiches. Smoked salmon, chicken, ham, egg mayonnaise, cucumber and chef’s seasonal savory which in our case was mackerel. There is not much to say. They were well prepared, with delicious and rich flavors. 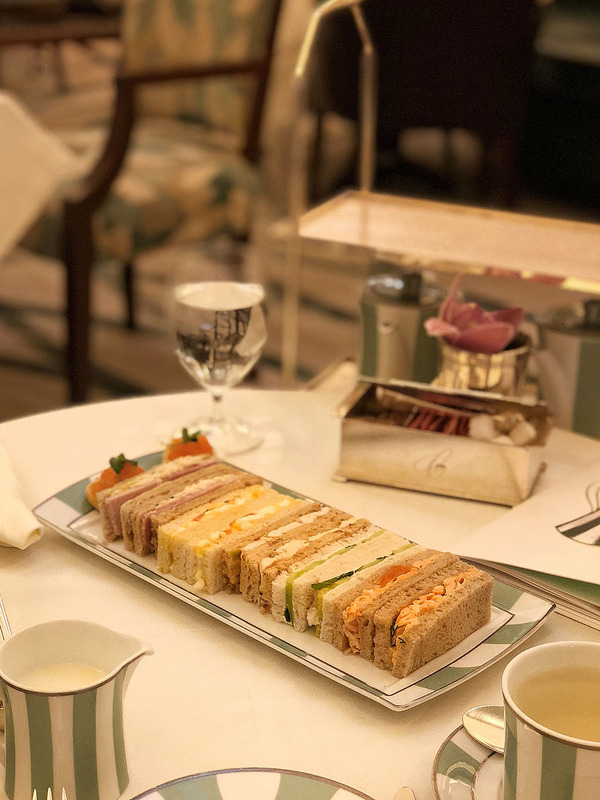 However, the one thing I really liked in the Ritz was that they replenish sandwiches after you finish the first batch. In Claridge’s, they don’t. Scones - For me, the scones were a little bit on the dry side. I like my scones moister. However, we’ve got a nice full cup of clotted cream and spectacular tea blend jam which was unique and delicious! Cakes - Cakes are always my most favorite part of the afternoon tea experience. And Claridge’s got it right. A little bit of everything. A refreshing fruit pastry, a chocolate pastry, their own version of Victoria sponge cake and something extra. In my case a choux pastry with an excellent fruity filling. I was told that they change the cake selection weekly, which, (un)fortunately, is another thing making me want to visit again. 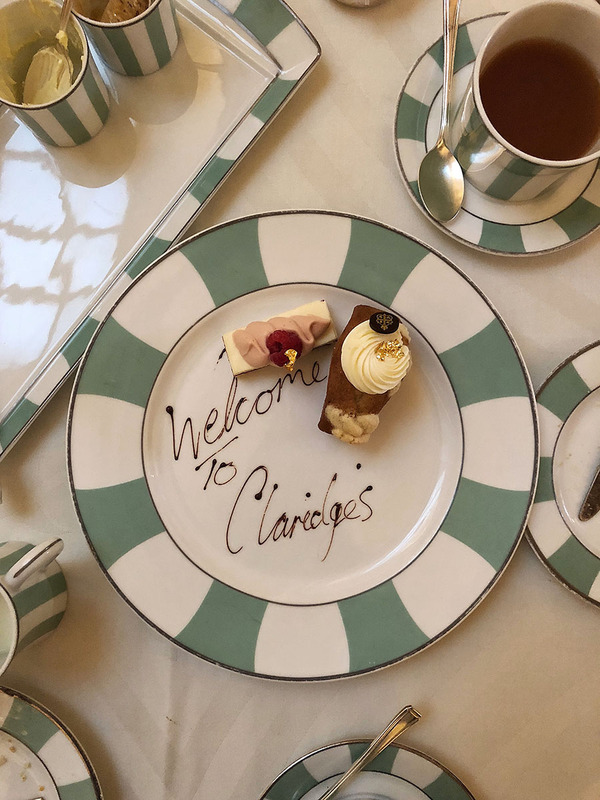 Extra cakes - We also got a lovely ‘Welcome to Claridge’s’ plate with extra raspberry cheesecake and banana bread. The advertised price for Afternoon Tea without any extras (champagne, seasonal events) is £60 per person. However, similarly to Sketch they automatically charge the 12.5% service charge, so the final price is £67.5. 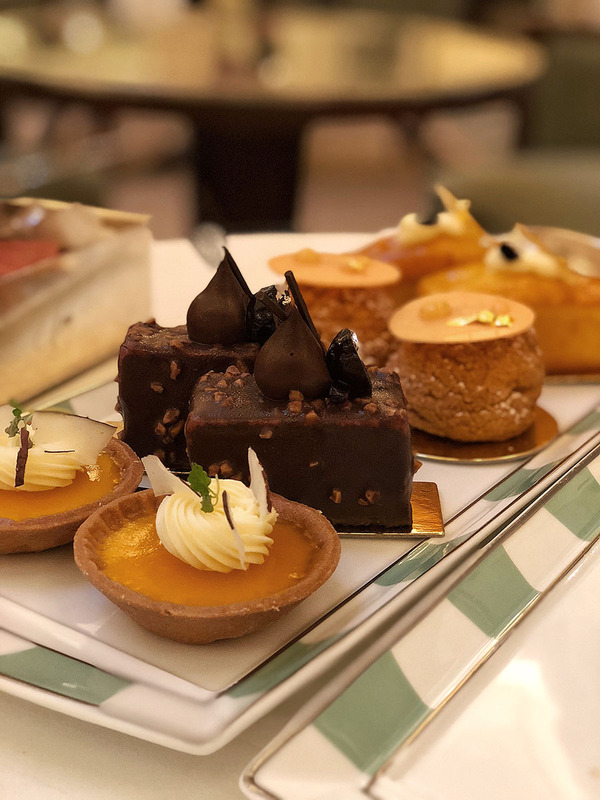 Should you go for the afternoon tea at Claridge's? I loved the whole experience. Interior is beautiful. Location of the hotel is excellent. Staff is extremely friendly. Live music is great, and the food is extraordinarily delicious. 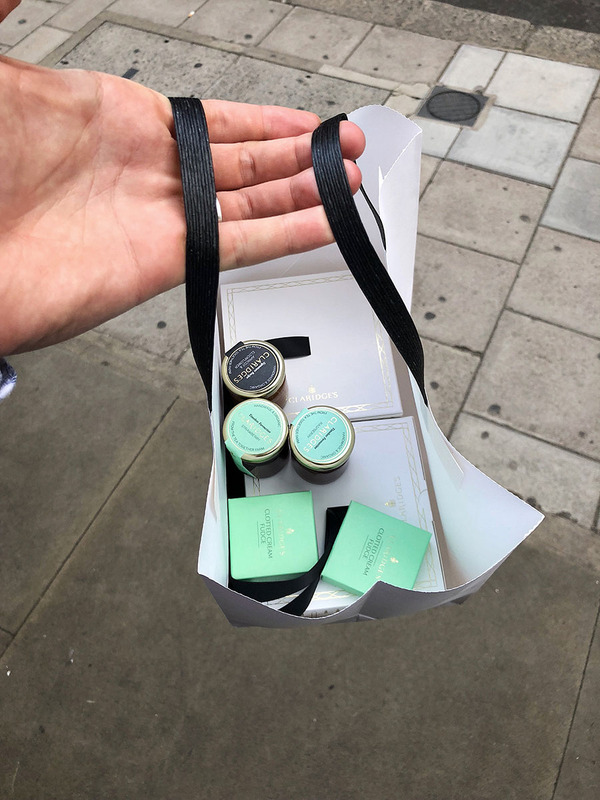 Also, the lovely little touch that made my day, was when I asked them to pack the unfinished cakes for me, and they included some extra scones and marmalade into the package. 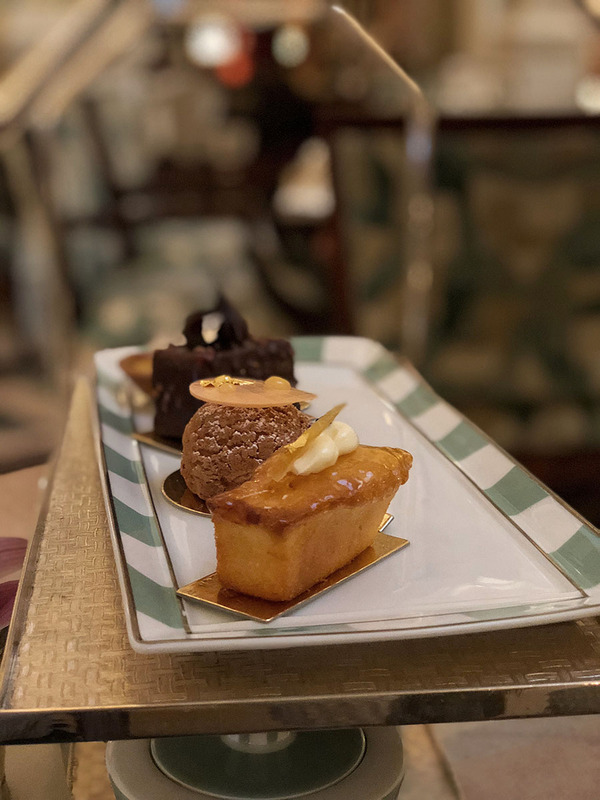 Is Claridge’s Afternoon Tea better than the Ritz Afternoon Tea? It's very difficult to say. They are both excellent. 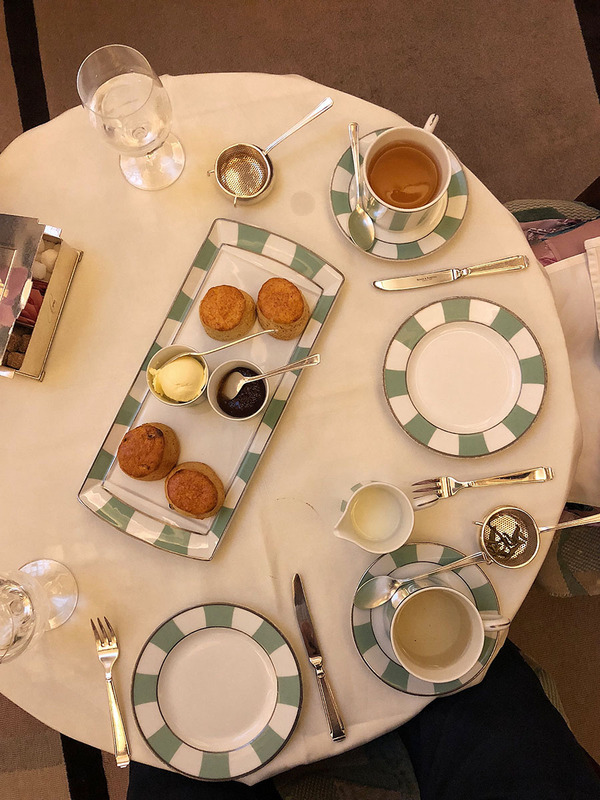 If you never experienced traditional afternoon tea then I would recommend you to go to the Ritz first. I think it's a little bit more glorious and a richer experience for the tourist. 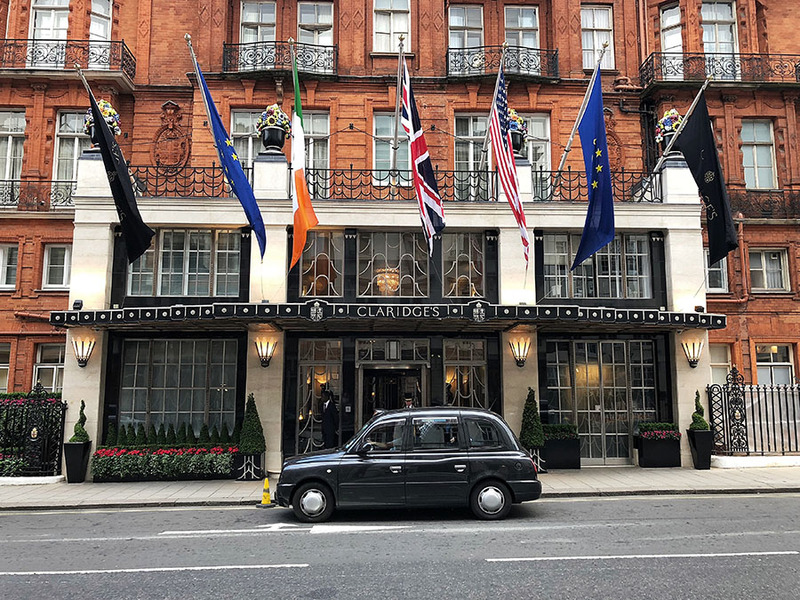 But, if you prefer a little bit more casual and relaxed atmosphere then definitely Claridge's. Food wise they are both extraordinarily good. 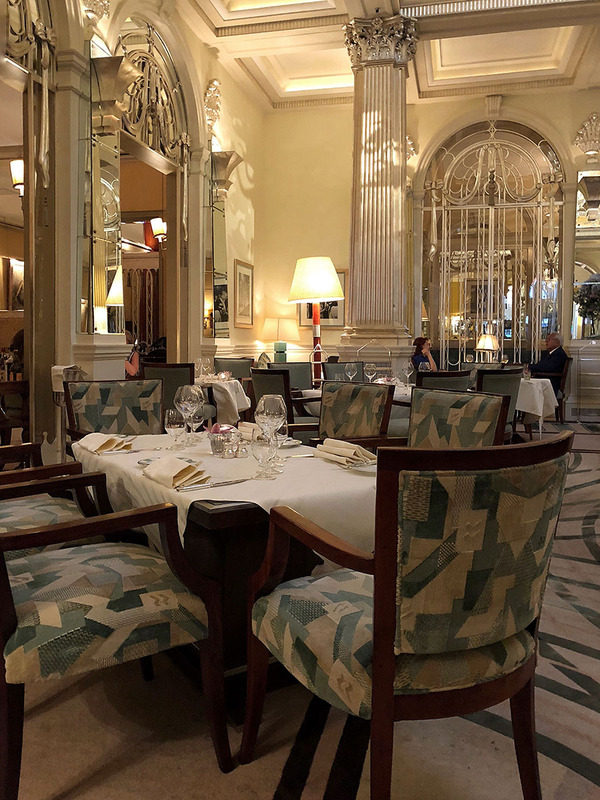 However, one more thing I noticed which is worth mentioning, is that even if the amount of the food you will get is absolutely enough, in the Ritz, they replenish everything for you without asking (more sandwiches, more cakes, more scones). 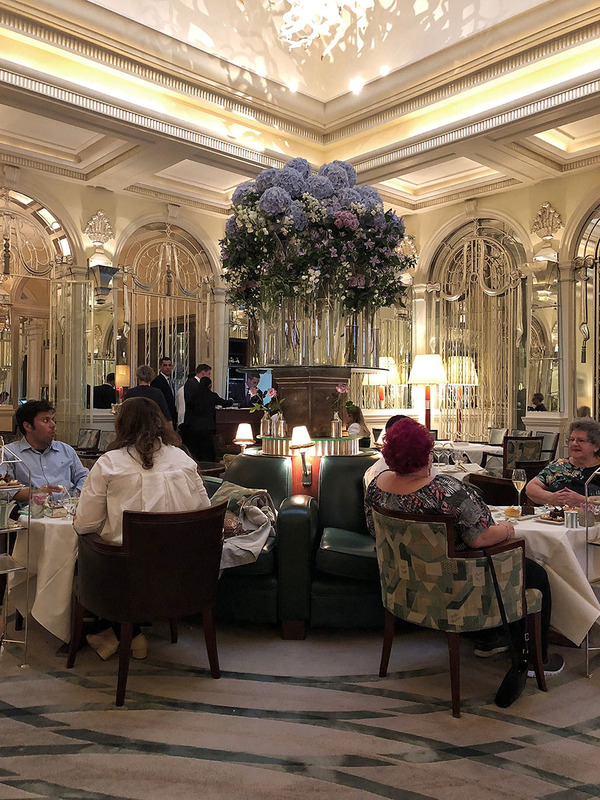 Given that both afternoon teas are advertised for £60, you will, purely quantitatively, get more food in the Ritz.